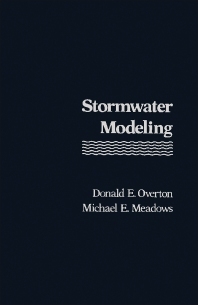 Stormwater Modeling presents the fundamentals of deterministic, parametric, and stochastic stormwater modeling. It is assumed that the reader or student will have a basic background in science or engineering; however, the authors are of the opinion that one can comfortably read and understand this treatise with a fundamental knowledge of calculus and differential equations. The book has been written with the intent of reaching an audience concerned primarily with evaluating the effects of land use on stormwater for the purpose of doing feasibility studies, planning, and/or design work. The book is organized into five parts. Part I discusses various modeling concepts such as the definition of a mathematical model, the systems approach to model building, examples of parametric and deterministic modeling, and stormwater model optimization. Part II on deterministic modeling covers the modeling of overland and open channel flow; kinematic flow approximation; and estimation of time of concentration using kinematic wave theory. Part III covers parametric modeling and includes chapters on model optimization;. analysis of the effects of urbanization and logging on stormwater; and evaluation of the effects of strip coal mining on watershed hydrologic response. Parts IV and V deal with stochastic stormwater modeling and stormwater quality modeling, respectively. 1-2 What is a Mathematical Model? 17-2 "Consumers' Water Quality Index"